Kenyon electric grills boast a non-stick grilling surface that heats up enough to give those distinctive searing lines that some might think are only available with charcoal or gas grills. Even though these grates are dishwasher safe, a grate cleaning brush will give you an edge in keeping them in tip-top condition. The brush is built for strength of high-quality stainless steel. The bristles are made of nylon that will do the job without damaging the grill top. The soft grip handle is easy on your hand and removable for thorough cleaning. 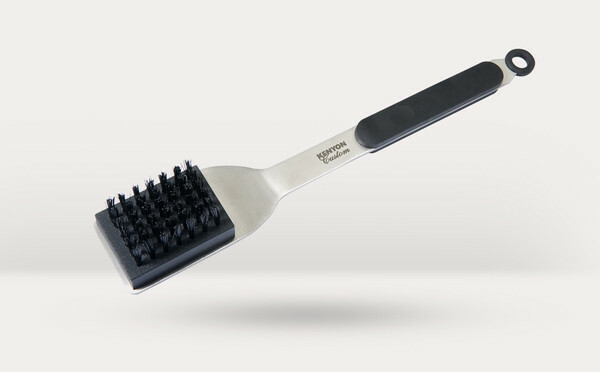 Keep your grill ready for the next barbeque by using this grate brush.